For me, embracing these moments means to turn these moments into a time capsule of reality with images. For some it may be through video, for others in keeping some type of diary. Whatever way you choose, do what makes your heart sign. 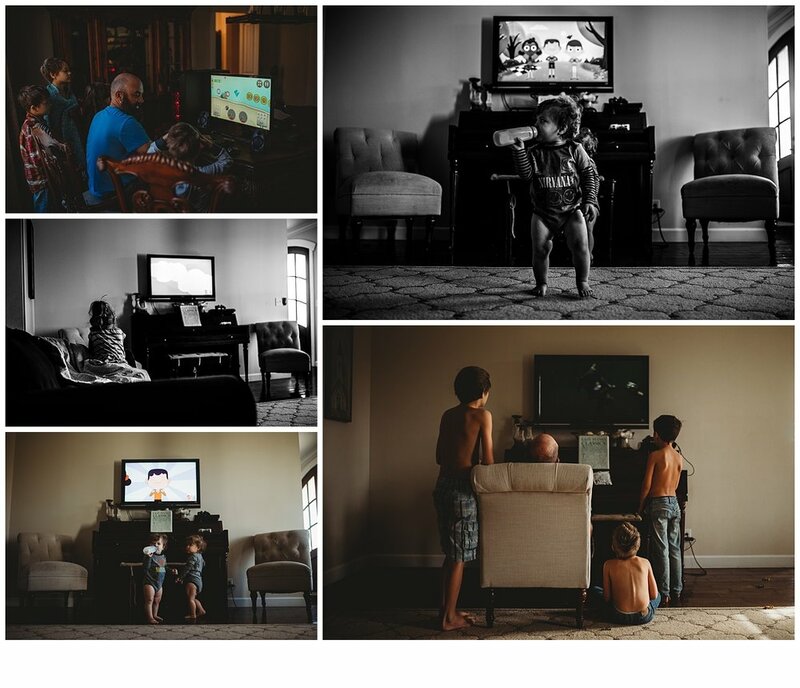 Photography is what sings to me and so I just wanted to encourage any other mom or dad out there to do the same. Even if it's just with an i phone. Doing a, " Day in the Life." is one good way to start out your time capsule of reality. Remember, no moment is insignificant... capture real life! Things don't have to be clean, things don't have to be perfect. Each one of these moments means something to me ( even though they are not "perfect" images) They are my moments captured forever. I know when I am old and grey, looking through my albums these images will take me back to a certain moment in time. For instance... In the first set of images with my boys in the garage. Boys and garages I tell ya! They are in there quite a bit playing cars and making messes and even though sometimes I'm frustrated with this, I know they love it in there and I know one day I will miss it. In the second set this was Thanksgiving break and my husband had some much needed time off of work and everyone vegged out on entertainment that day. In the image below to the right.... One of my little one's booty and feet... she's searching for her bottle yet again! Always searching for bottles around here! Below, my oldest child having a quiet moment to herself before work, donut time ( frequent around here) and my little Ava playing in her room. Below....girls and their makeup! Part of our everyday routine around here and this one has such a blast with it! She was actually getting ready to go out and scout locations with me and take some, "senior" shots ( she's not a senior until next year) And so the last few images are us driving to and exploring a particular location. These are my moments and they make my heart sing! I encourage you today to start documenting your life in some way. If it's through photography, don't let it discourage you that you don't have a, "fancy" camera. So much can be done with i phones these days and learning a little bit about composition goes a long way! I leave you with this beautiful quote by Aaron Siskind. 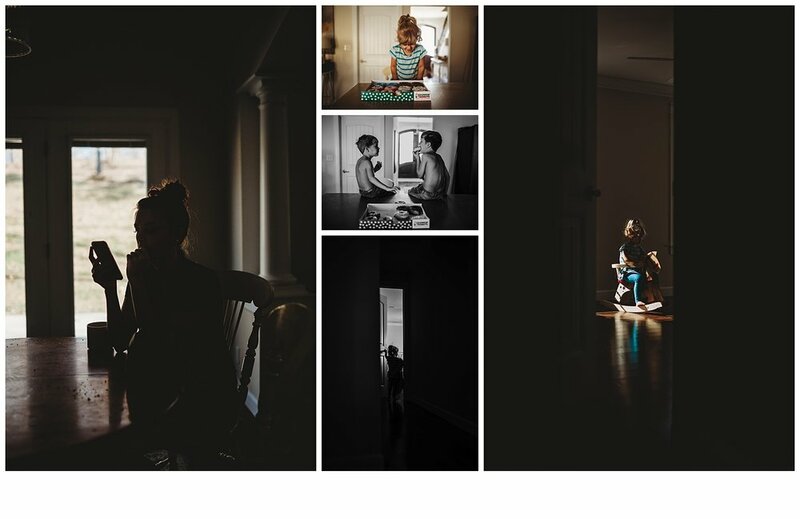 This quote is my driving force: " Photography is a way of feeling, of touching, of loving. What you have caught on film is captured forever...It remembers little things, long after you have forgotten everything."